It had been Michael Robertson’s dream for many years to capture the ethos and history of the Homes and he mooted the idea of setting up a Museum at the Homes to commemorate its centenary year. 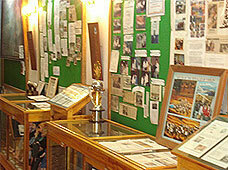 Housing memorabilia of this unique institution from the time of its inception in 1900, the Museum was formally inaugurated by the British High Commissioner to India, Sir Robert Young, on 24th September 2000 during the centenary celebrations of the Homes. It is a place that inspires visitors and, in a sense, embodies the values that Reverend Dr. John Anderson Graham stood for. The project was coordinated by Mr. Shane Calvert, the Headmaster of the School at the time, and the design and construction was managed under the watchful eye of Mr. David Foning, Bursar of the Homes. Mr. G. R. Tamang, Mr. R. Chowdhuri, Mr. and Mrs. D. Washington, Mr. S. Mainwaring and Ms. Atreeye Saviel, assisted by the school children and workmen, worked tirelessly under the guidance of Mr. David Foning to bring this project to fruition. A compact model of the sprawling campus with the majestic Kanchenjunga and the Himalayan range forming a beautiful and awe-inspiring backdrop. Reverend Dr. John Anderson Graham’s personal belongings, his Moderator’s outfit with accessories and his monolog chair. The hand-written Admission Register since 1900, including details of the first six children and the Staff Attendance Register. Photographs of the Graham family and other girls and boys. 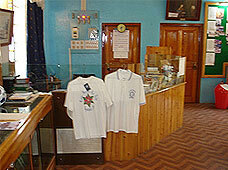 A pictorial display of the School Choir’s concerts and visits overseas. Ten volumes of compiled School Magazines since 1900. Lists of Secretaries, Superintendents, Principals, Headmasters, Bursars etc. Children’s School Uniforms down the ages. Norman Hutchinson’s paintings and his book. The Visitors Book has also become a collector’s item with signatories ranging from distinguished bureaucrats to global tourists and alumni. 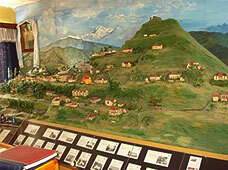 Located near the school playground, the Museum is the “Hall of Fame” of the Homes and no visit to the Homes is complete without a visit to the Museum.